so you can throw it freely into the "dead"
Zombie Reaper series has been download for 7.7 millions. And now Zombie Reaper 3.0 is available for download! ☢ Add zombie boss who has super heavy armor and crazy attack,and you need to destroy his helmet first! ☢ Add battle vehicle store, you can purchase your own super cars! ☢ Upgrade "kill zombies on highway" mode where you can drive your super cars to kill zombies on highway! ☢ Upgrade "air support" mode where you can save our people with the "sniper mode" on the zombies' head! ☢ Top graphic on mobile games, integrate weather system include raining and snowing! ☢ High resolution 3D guns models and textures! 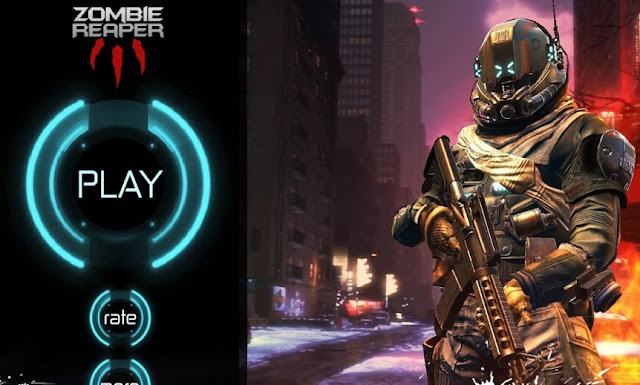 Zombie Reaper 3: install APK and play the game.